▲ 17 January 2019. 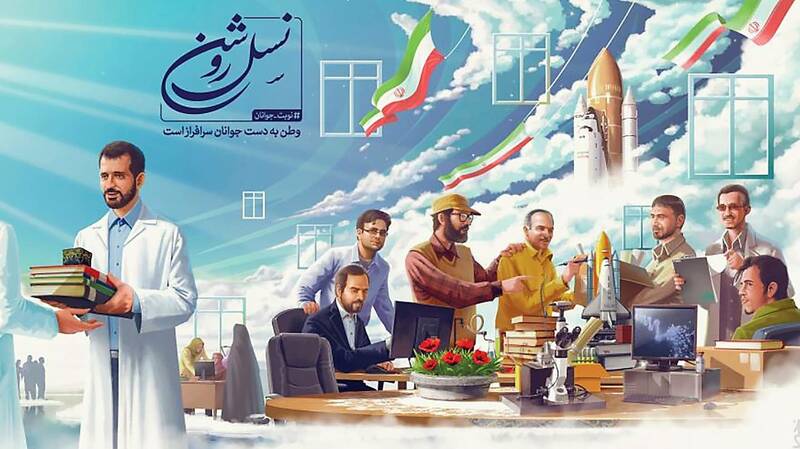 Note that Shahid Hajj General Hassan Tehrani Moghaddam, the father of Iran's space program is depicted bringing a treasure trove of [North Korean] blueprints to his fellow countrymen! As of June 2018, the heavy-lift space launcher is no longer associated with a space shuttle, but instead the lunar exploration program. And the robotic exploration of its surface. 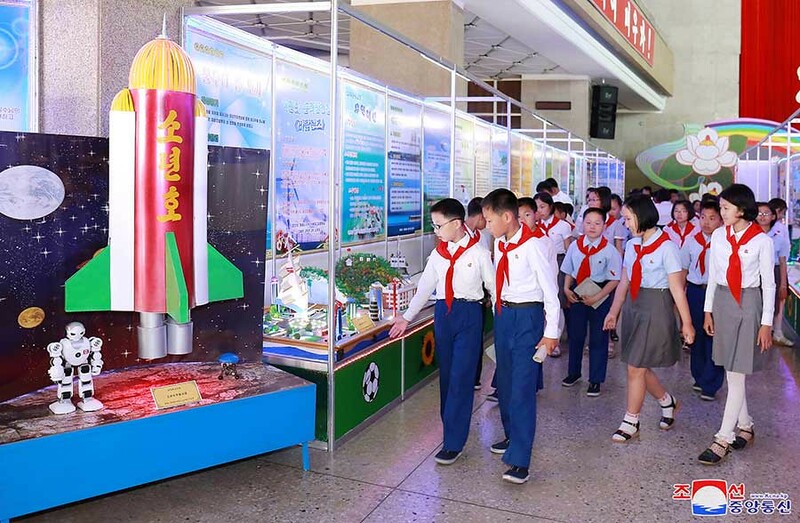 The future CZ-5-class North Korean heavy launcher, should be able to put 20 tons in LEO, to land a probe on the Moon and return rock samples, to reach Mars and beyond. Hinted for the first time in circa April 15, 2017. Assuming that "20" of the Unha-20 (은하20호, 銀河二十號: Milky Way-20) refers to 20 tons payload. Claiming that a heavy launcher's core booster could be 9 meters in diameter [that is the diameter of Tonghae Space Center LC-2] simply doesn't take into consideration that North Korea's rail delivery from the rocket factory to the launch center, limits the absolute maximum diameter to ~ 4 meters. ▲ One image, three generations of North Korean space launchers. 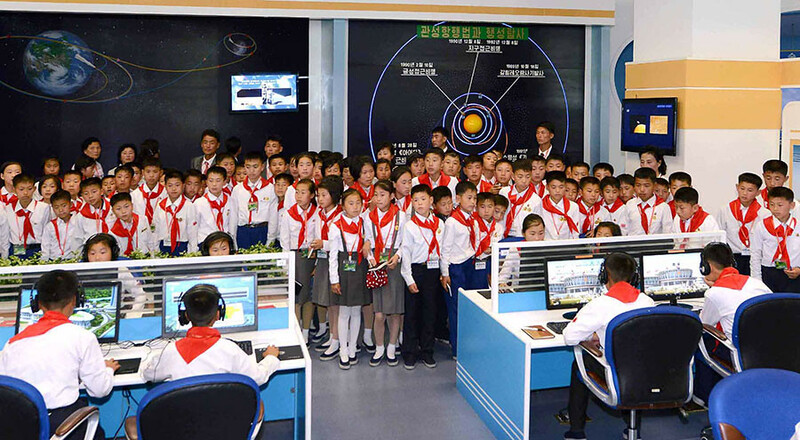 Center: notice the KWANGMYONGSONG SLV aka Unha-4 represented left of a huge (meaning at least twice the size) Unha-9 SLV. Unha-20s are pillar-sized! April 15, 2017 picture. 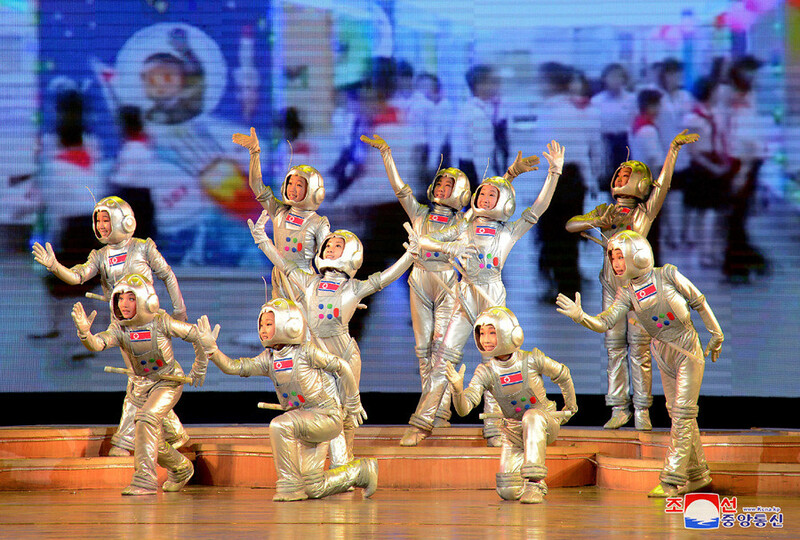 ▲ Artistic representation of the North Korean Unha launchers family, 2019. Outdated as of Mid-February 2019. 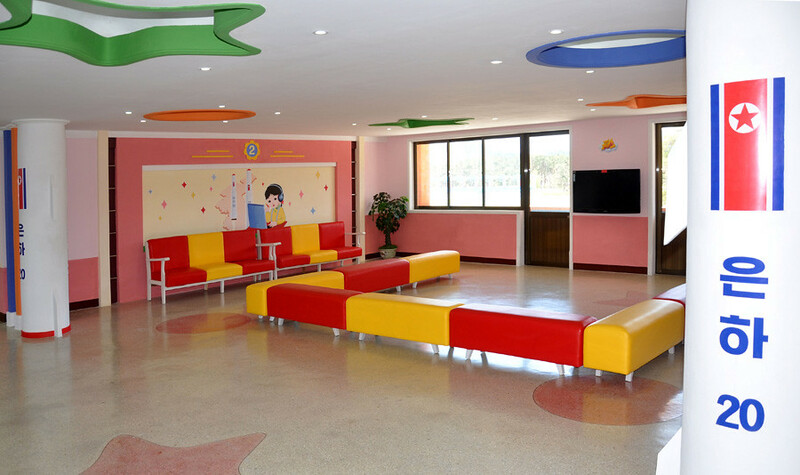 The Sohae Space Center is suitable for launching low orbit satellites such as earth observation satellites, but it can not launch communication satellites or meteorological satellites. These satellites are launched from the equator. The answer is the the Pacific Ocean's equator. The global space market is worth $ 177.3 billion in 2011. 60% of them are satellite services using communication satellites. Geostationary satellites orbit in the Earth's rotation direction. The equatorial orbit has the highest rate of rotation of the earth. If you launch satellite into the equatorial orbit, you can use less energy with the help of the Earth's rotation speed. When launched from Korean space center, the space launcher has to turn 30 degrees or so to fly a long distance, so energy consumption is incredibly high. It is also possible that the first stage rocket may fall to Japan because it has to fly toward the equator. If the rockets use less fuel, the satellites can weigh more. This is why France has secured half of the global satellite launches, because it has built its space launch site in Kourou, in the equatorial colony of Guiana. First hinted by an equivalent South Korean concept, as launching from near the equator would both improve the payload capability and reduce tensions with neighbouring nations produced by the launcher's overflight and drop zones. Since North Korea is surrounded by hostile nations in the East and South, and has a maritime access to the South Oceans. Converting one of the many North Korean 14,000t-class offshore platforms from the North Korean booming oil industry into a launch platform, would be the quickest way for North Korea to launch satellites from the Equator. 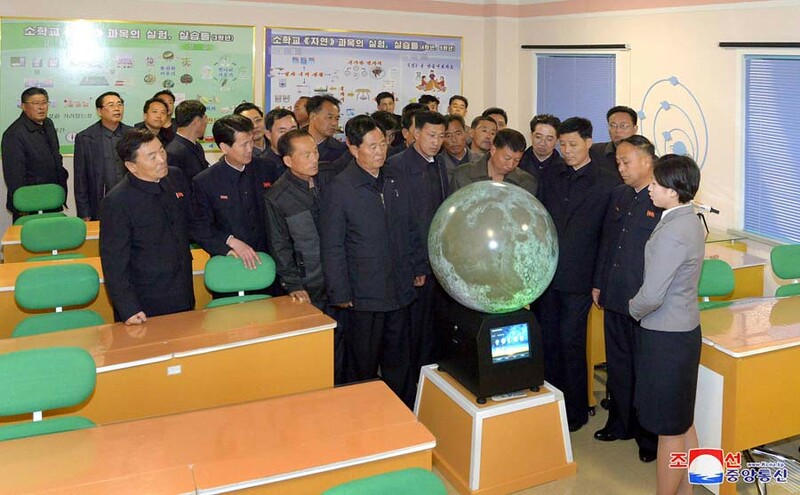 ▲ North Korean sea-launches the only way to launch commercial satellites. ▲ Conquering the South Seas, the key for unlocking North Korea's future space superpower status! 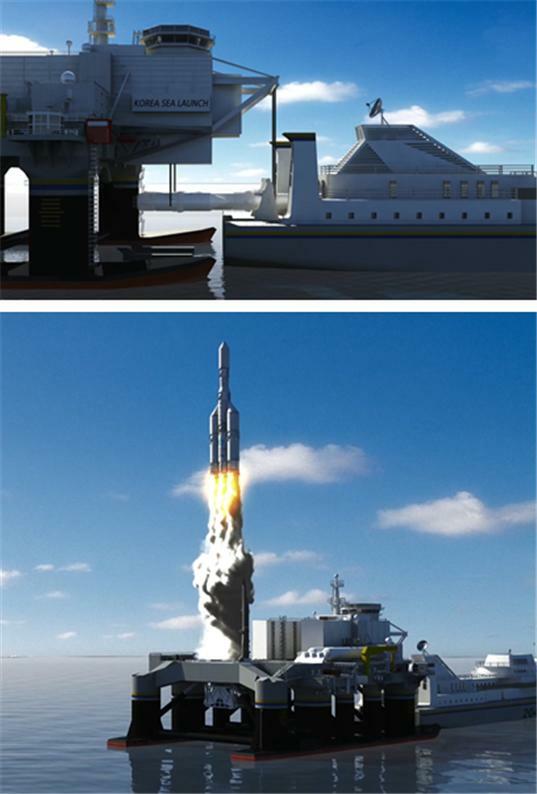 One of the main use for such a heavy-lift space launcher will be the industrial development of outer space resources. ▲ April 11, 2018. 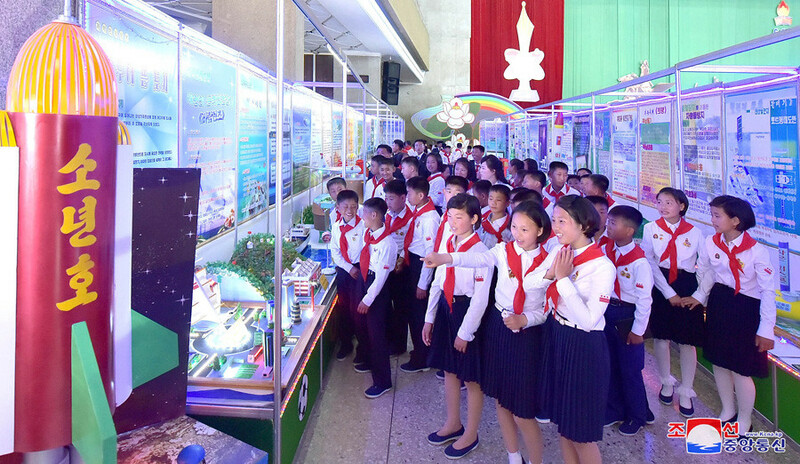 Representatives of the Supreme People's Assembly visited the North Korean Revolution Museum and various places in Pyongyang. ▲ Video Published on Oct 28, 2015. Now censored. Note: At t=666 seconds (11m06s), possibly the section dedicated to the future North Korean lunar exploration program (Unha-9, Unha-20), as disclosed back in 2012; Hint at future Phase Three with lunar lander and sample-return.